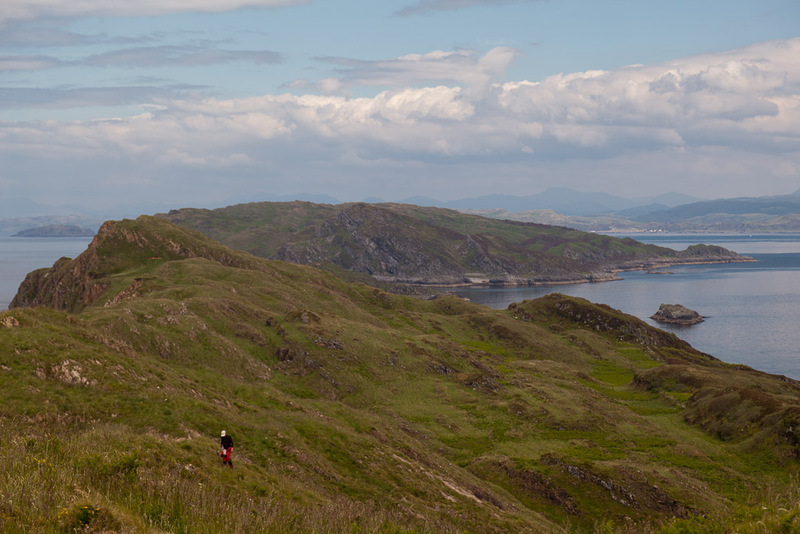 Sea kayaking with seakayakphoto.com: The summit ridge of Eileach an Naoimh. 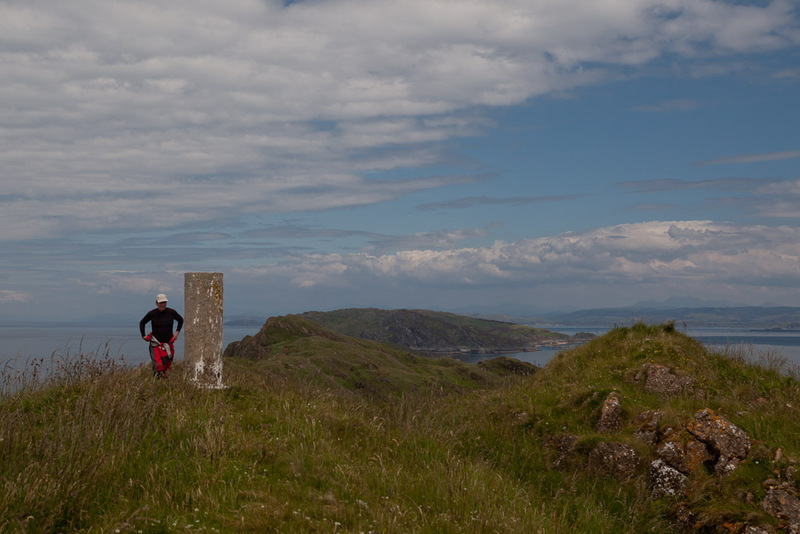 The summit ridge of Eileach an Naoimh. 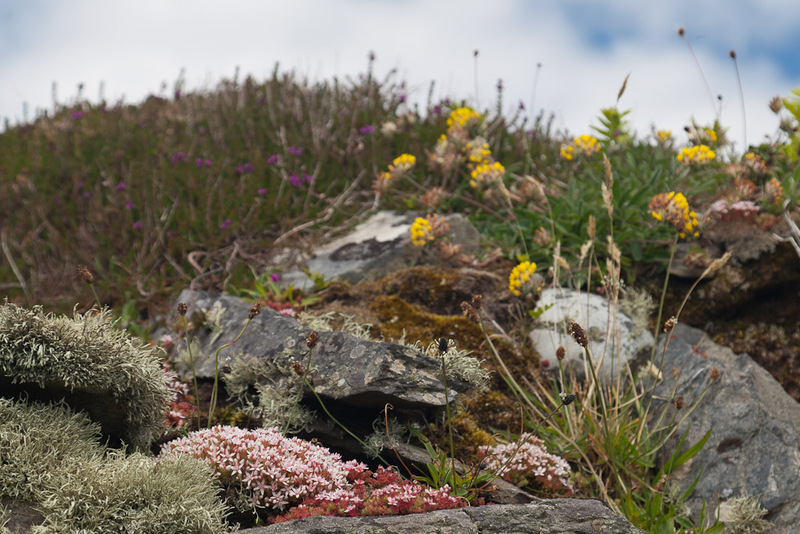 ...encrusted by beautiful alpine plants and lichens. 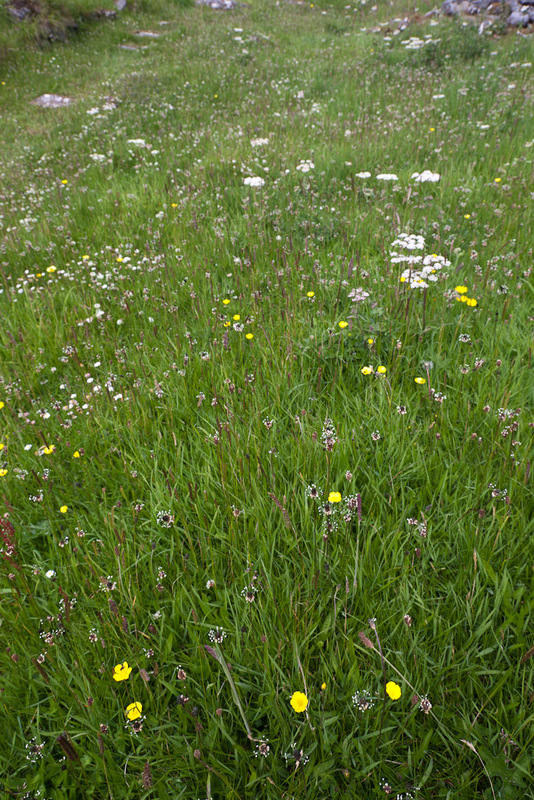 The meadow above was composed of lush grass and a perfusion of wild flowers. 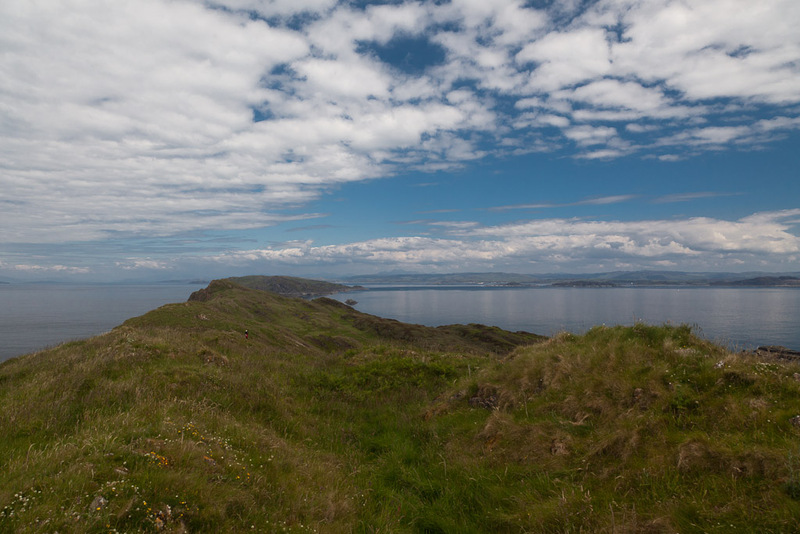 ...the spine of the island from which we had a marvellous view NE up the chain of the Garvellachs to the Firth of Lorn with the Slate Islands beyond. Ben Cruachan on the mainland can just be seen mid horizon. 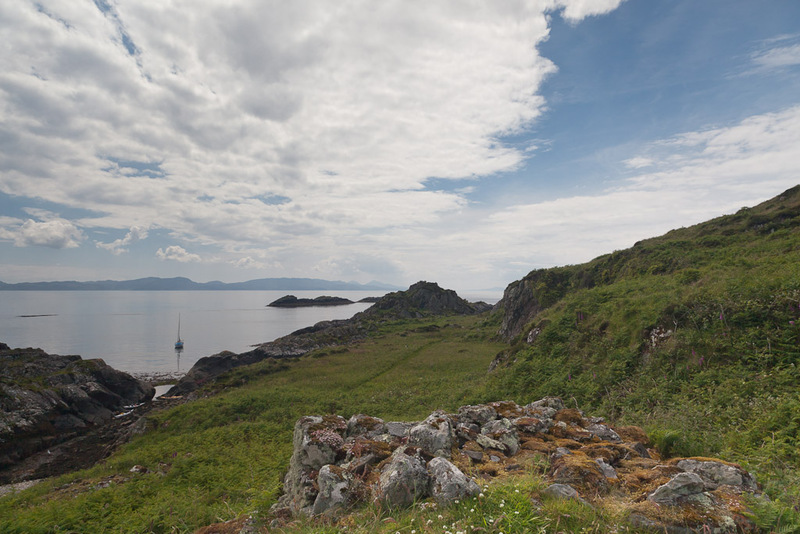 ...SW to Jura, Islay and Colonsay. 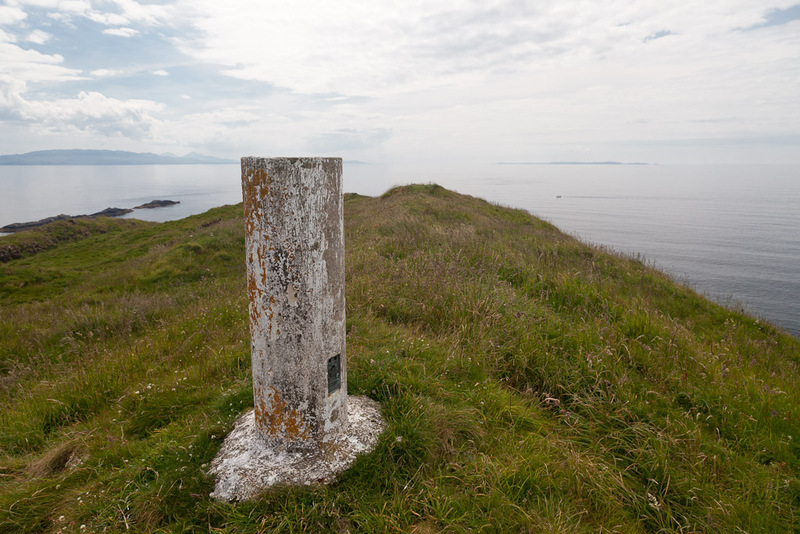 The Paps of Jura can be seen just to the left of the trig point. 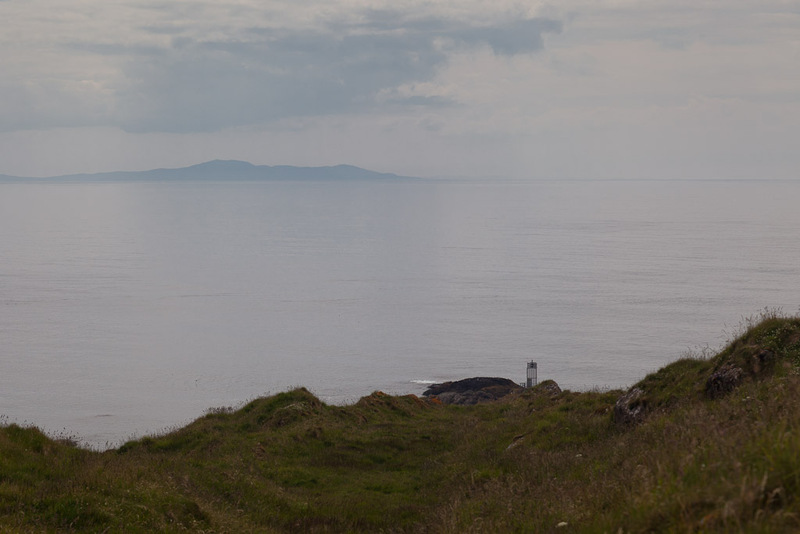 We walked down the ridge until we came to a point where we could see the lighthouse with Islay on the horizon. By the time we climbed back to the summit of Eilach na Naoimh it had started to cloud over from the NW. The air became less hazy and we had a great view of Ben More and the entrance to beautiful Loch Buie on Mull. Loch Buie would be our next destination.